The Bruin Leaders Project envisions a campus environment in which leadership is understood as a collaborative process based upon respect and the valuing of difference. In addition, the Bruin Leaders Project envisions a seamless, cohesive framework within which campus-based leadership opportunities are organized and presented to students. The Bruin Leaders Project seeks to realize its vision by honoring those leadership values set forth in A Social Change Model of Leadership Development. The Social Change Model of Leadership Development is the result of a creative and collaborative effort by various members of the higher education community to develop an innovative and non-traditional approach to leadership development. The purpose of the Model is to mold the concept of leadership as an inclusive process by which change is effected for the betterment of others. It is a value-based model of leadership development that revolves around a core of service as the vehicle for social change. 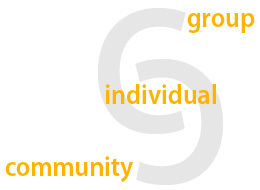 The Model is divided into three domains: the individual, the group, and the community. Corresponding to and interacting within the domains are seven principles: Consciousness of Self, Congruence, Commitment, Collaboration, Common Purpose, Controversy with Civility, and Citizenship. The goals of the Model are two-fold. First, it is designed to promote the increase of self knowledge, an understanding of one's interests, talents, and values. Second, the model seeks to increase leadership competence by which the capacity to mobilize the individual and group to work collaboratively is developed. The Bruin Leaders Project uses the Social Change Model as its foundation for several reasons. First, the Model views leadership as a process rather than a position, thus recognizing that every individual has the potential to be a leader. Moreover, leadership as a process also distinguishes the actions, influences, and growth that comes about in the journey of effecting change rather than focusing on the product itself. The Social Change Model is also values-based. That is, an integral aspect of the "process" involves exploring and enacting social and moral principles that lead to augmentation not only of the self, but also the greater community. Finally, change, specifically social change, is an important goal of the Model. Congruent with the emphasis on process and values, this Model seeks to bring about change as the result of leadership whereby both the individual and the community benefit mutually. Although the Bruin Leaders Project focuses on the Social Change Model of Leadership, we also consider other leadership models.